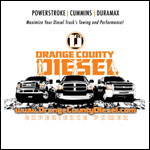 With the BD-1045230 Diesel Super B Single Turbo 2003-2004 Dodge 5.9L Cummins you'll get better fuel economy, more usable power, quicker response, cooler EGT's and lower exhaust emissions with a BD turbocharger! And, you'll have the added benefit of proven journal bearing technology - the very same used in 99% of the turbochargers produced in the world since 1921. 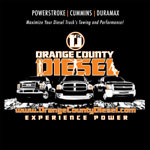 OC DIESEL offers Professional BD Power BD-1045230 Installation.